Quantitative fit test respirator only. Must not be used for respiratory protection. 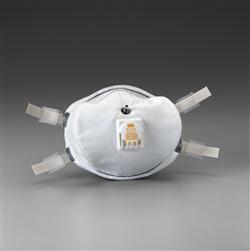 Jaco Aerospace and Industrial is your one stop resource for 3M(TM) Probed Particulate Respirator 8233Q, N100 20/cs and all of your 3M Products, Tapes, aerospace and industrial needs. SKU Marketplace Product Description: Quantitative fit test respirator only. Must not be used for respiratory protection.